Following the success of New Zealand's pavilion at the 1988 expo in Brisbane, the pavilion was relocated to the Lakeside Convention Centre in Māngere, in South Auckland, in January 1990. 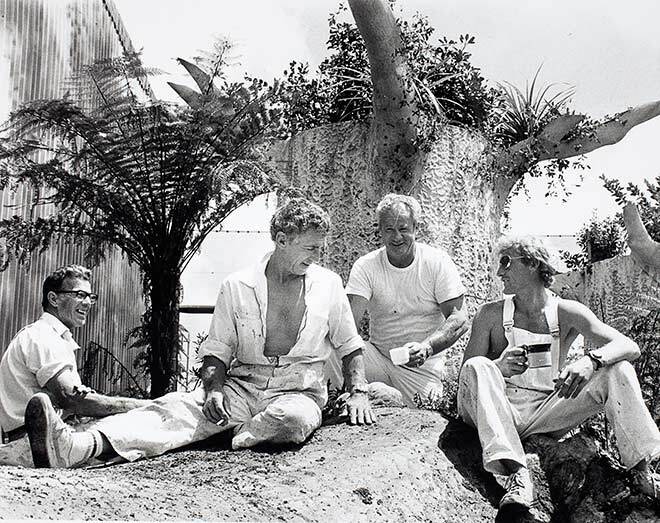 Here a team of painters enjoy a cuppa while helping to refresh the exhibit just before it re-opened. After initial popularity, the pavilion suffered from falling visitor numbers and was closed in 1996.